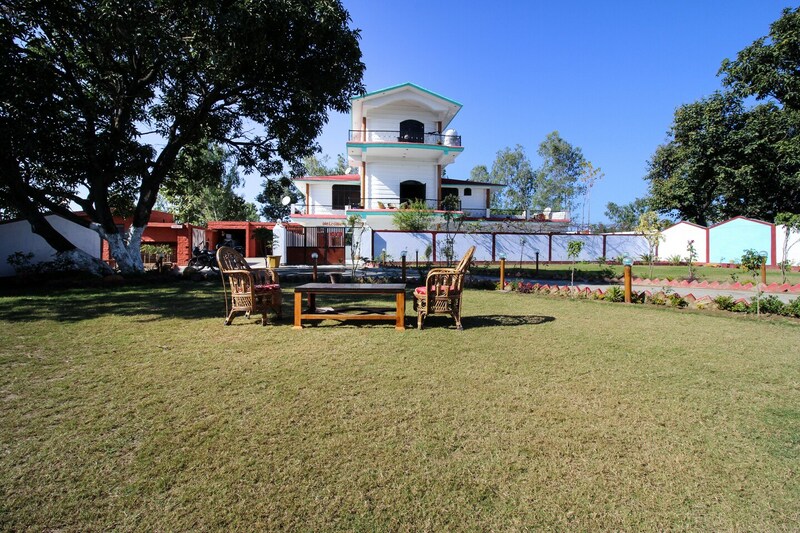 Located in Dhikuli, Ramnagar, Jungle Paradise Retreat is a beautiful property located very close to Jim Corbett National Park. The resort offers beautiful and cosy cottage style rooms surrounded by gardens and plants all around let you stay close to nature. The rooms are spacious with a separate dining hall and garden with seating space. The property is equipped with a kitchen, in house dining hall, parking facility, CCTV cameras, round the clock power back up along with king sized beds and television in fully air-conditioned rooms. The resort is very close Jim Corbett National Park. There are many restaurants and cafe that are few minutes drive away.